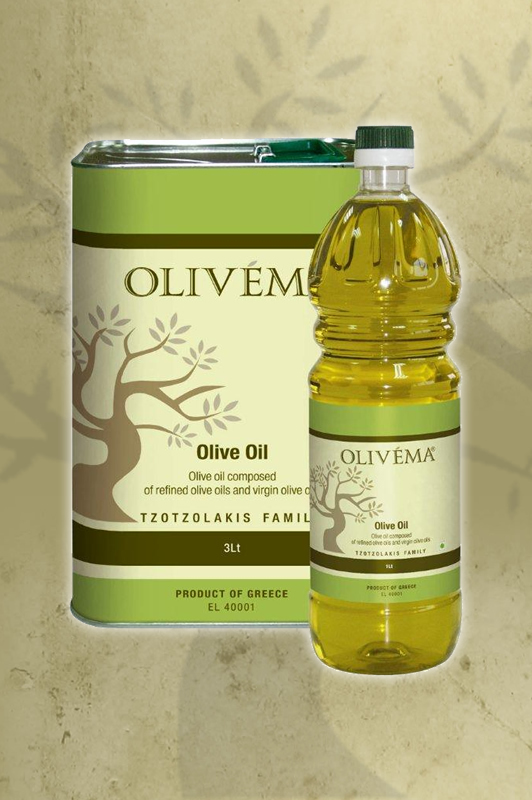 Olivéma Olive Oil is a classic but mild olive oil that results from the successful blend of our virgin olive oil (30%) with refined olive oils. Its main characteristics are its very pleasant but subtle taste and its light aroma. Its acidity level may reach up to 1% maximum and is derived from both natural and chemical methods. 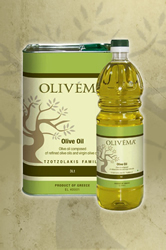 Ideal for many light cooking methods, including stir-frying, sautéing, braising, marinating and searing, Olivéma Olive Oil is the traditional cooking olive oil of choice in Mediterranean households. This product is available in either PET plastic bottle or metal tin packaging in a variety of sizes. Please contact us directly for all product details and information.